West Virginia offers a plethora of tourist attractions for its visitors. Nicknamed the “Mountain State” and given the tagline of “Wild and Wonderful,” West Virginia’s rugged terrain was formed by the Appalachian Mountains. This landscape makes for incredible whitewater rafting and outdoor adventure. Its history is just as rugged. It was the only state formed by seceding from a Confederate state during the Civil War. 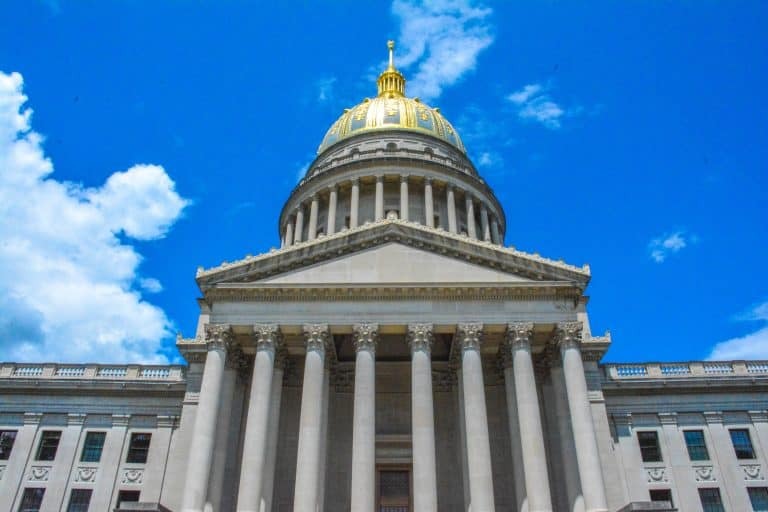 The state capital, Charleston, is one of the best places to visit in West Virginia to learn about this state’s distinctive history. Here are the top things to do in West Virginia that help make a West Virginia vacation wild and wonderful. Morgantown is the heart and soul of West Virginia sports. Children from all over the state learn from a young age to cheer on their WVU Mountaineers as they battle other universities in football, basketball, and over a dozen other sports. In the summer months, the competitive spirit of West Virginia turns to its minor baseball fields. Like the Mountaineers, the West Virginia Black Bears call Morgantown home while the West Virginia Power plays in Charleston. 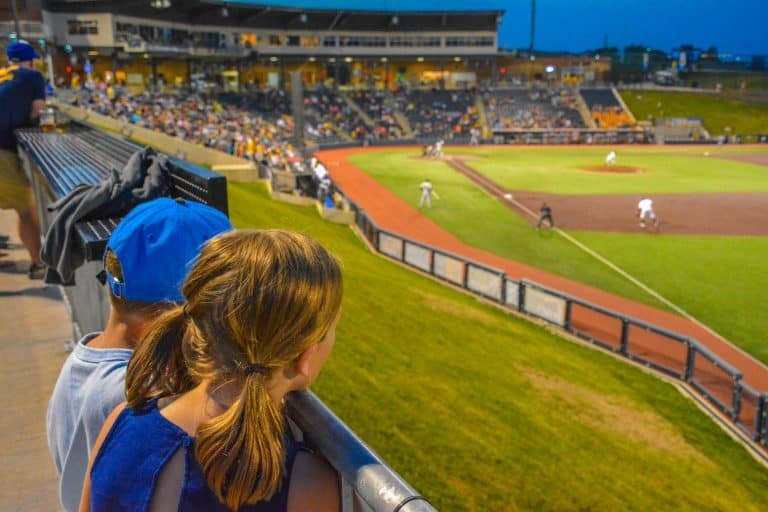 These minor league games offer plenty of perks for the family, from an opportunity for the kids to run out onto the field with the mascot to the kid’s areas where children can perfect their pitching and aim. So, don’t be afraid to join the hometown community. Grab a pepperoni roll and cheer on the home team! Driving through West Virginia next summer and looking for places to visit in West Virginia? 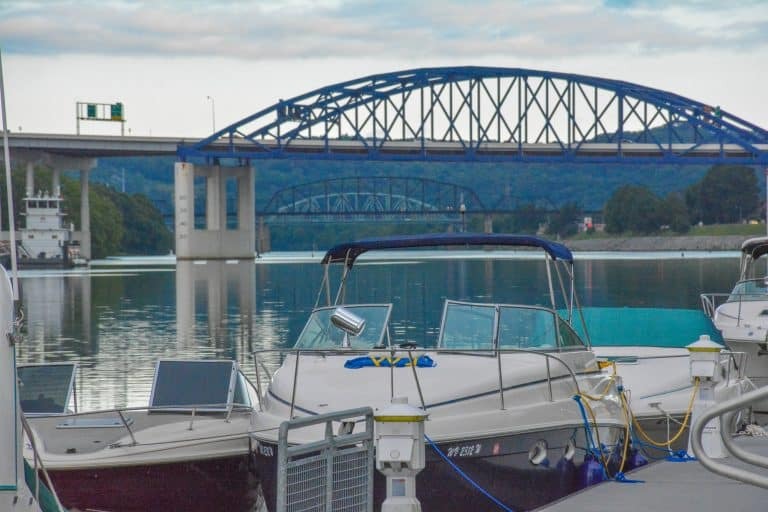 Here’s how to spend A Summer’s Day along the Monongahela River in Morgantown, West Virginia. West Virginia is a relatively young state compared to many of its neighbors. The Mountain State broke off from the Confederate state of Virginia during the Civil War. The West Virginia State Capitol Building is one of the most beautiful and recognizable in the nation. It has a marble interior and an ornate gilded dome towering almost 300 feet above the city. However, for families, the best West Virginia tourist attraction in town is the West Virginia State Museum just steps from the capitol itself. A visit to the museum is a walk through West Virginia history from the prehistoric formation of coal deposits, to the state’s unique role in the Civil War, to the modern day. The museum is certainly one of the top places to visit in West Virginia with your family. For a truly immersive history experience, families can spend a day at Harpers Ferry National Historic Park. It is located the confluence of the Shenandoah and Potomac Rivers where West Virginia meets both Maryland and Virginia. 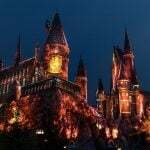 Being so close to the Washington DC metro area, it is one of the most popular places to visit in West Virginia. Harpers Ferry was identified by America’s founding fathers as a strategic point, which later led to the city being chosen as the site of a US Armory and Arsenal. In 1859, that arsenal was the site of abolitionist John Brown’s raid that sparked tensions leading up to the Civil War. Not only is Harpers Ferry steeped in a rich history. It is also a beautiful place to go hiking the Appalachian Trail. There are even opportunities for whitewater rafting in West Virginia on the Shenandoah and Potomac Rivers. Virtually all visitors to West Virginia have the opportunity to appreciate the state’s infamous country roads that wind through the state’s Appalachian terrain. A favorite stretch of road for many is the section of Route 60 between Charleston and the New River Gorge. Following the Kanawha River out of Charleston, the Midland Highway reaches its most scenic points just about an hour outside of the capital city. Waterfalls appear to both the left and right of the highway before the road turns upward leaving the river and continues onto the viewpoints at Hawks Nest State Park. These scenic viewpoints are some of the most beautiful places to visit in West Virginia. Looking for things to do in WV? 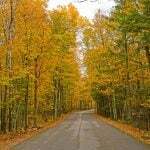 For more scenic routes to take across the state of West Virginia check out Trekaroo’s Road Trip West Virginia’s Country Roads to the New River Gorge. Spectacular mountaintop views are easy to come by in this stretch of the Appalachians; after all, West Virginia is the Mountain State. Coopers Rock State Forest in north-central West Virginia has some amazing vistas. Fortunately for families, it’s not difficult to reach, being located less than twenty minutes from the city of Morgantown and just a few miles off I-68. The forest’s main overlook sits atop a rocky outcropping in which a legendary, whiskey-making cooper hid. It is easily accessible via a short path from the parking area. For those that enjoy more of a hike, the state forest features over 40 miles of trails; including the scenic trail to Raven’s Rock Overlook and a two-mile roundtrip trail to Henry Clay’s historic iron furnace. This state park is one of the best places to visit in West Virginia’s north central region. Located to the east in the Potomac Highlands, Spruce Knob is the highest point in the entire state at 4,863 feet. While it’s certainly possible to hike to the summit, there’s also a paved forest road that leads from US-33 to the observation tower at the top of the mountain. Nearby, the impressive Seneca Rocks provide a stark contrast to the region’s smooth forested mountain peaks with a jagged rock outcropping. The area is one of the top West Virginia tourist attractions. 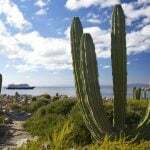 It has a hiking trail that is popular with families as well as rock climbing opportunities for the more adventurous. Find a Place to Stay in Morgantown when you visit Coopers Rock State Forest. West Virginia’s Appalachian Mountains allow for some incredible, extreme adventures. The New River Bridge claims two of the most unique adventures in the nation: Bridge Day and the Bridge Walk. On Bridge Day, held annually in October, the New River Gorge Bridge is closed to vehicular traffic. Thousands of pedestrians walk across the top of the world’s second-largest single arch bridge. Hundreds of base jumpers use the bridge as their starting point to leap down into the gorge on Bridge Day. However, there’s no need to wait for October to experience a thrilling adventure on the New River Gorge Bridge. Nearly any day of the year families with older children can participate in a Bridge Walk. A Bridge Walk is an organized tour that takes fully-harnessed guests on a 2-3 hour walk across the catwalk below the New River Bridge. The mountains and forests around the bridge are also teeming with adventure. From east to west and north to south, West Virginia is full of opportunities for aerial adventure. 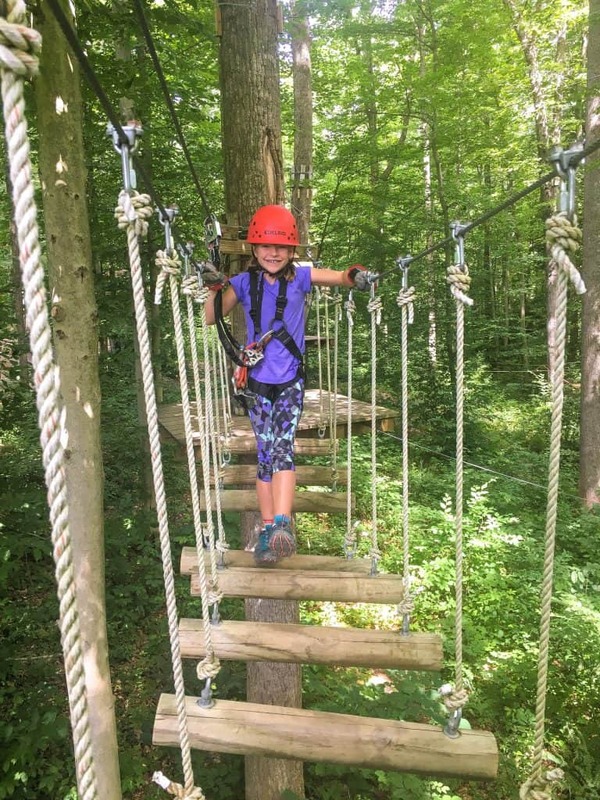 Adventures on the Gorge, just a few miles from the scenic New River Gorge Bridge, offers a few different options for zip-lining through the forest depending upon the thrill-seeker’s age and weight. It also has TimberTrek, one of the best aerial adventure courses in the Mid-Atlantic. Looking to plan a vacation full of adventure including whitewater rafting in West Virginia? Check out Trekaroo’s guide to New River Rafting with Kids at Adventures on the Gorge. Families don’t need a sense of adventure to enjoy West Virginia’s lakes and rivers. 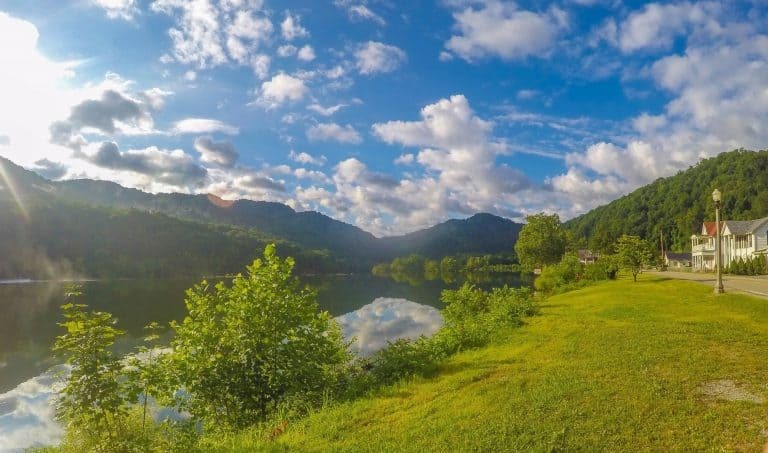 Scenic Summersville Lake provides the perfect destination for a relaxing family getaway with opportunities for boating, fishing, kayaking, and paddle boarding. Alternatively, stay in the city. The Mon River Trail Network features 48 miles of bike path along the Monongahela River. The relatively flat path is a great place for a scenic bike ride. Families can follow up their bike ride with a leisurely dinner at the Mountain State Brewing Co. right along the banks of the river just steps away from the bike path and not far from downtown Morgantown. The city of Charleston also features riverside entertainment. The Kanawha River provides the backdrop for the summertime Friday evening Live on the Levee outdoor music event with food trucks lining the road behind the venue and a fun, family-friendly vibe. In a state known for its mountains and rivers, you might expect to find some awesome waterfalls. West Virginia does not disappoint. One of the most popular West Virginia tourist attractions, and certainly the most photographed waterfall in the state, is found at Blackwater Falls State Park. 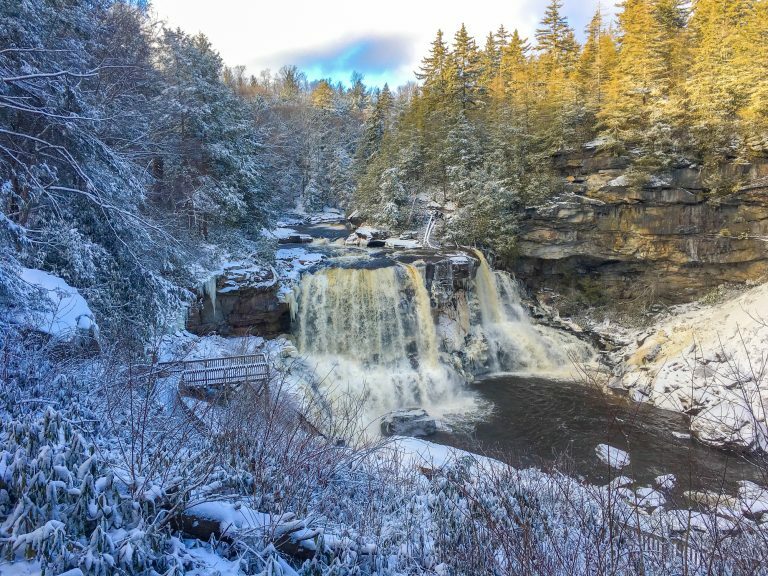 The 62-foot-high Blackwater Falls is not particularly large or powerful, but the way that the water cascades over the rocks is quite beautiful. Fortunately for families, the waterfall is easily accessible in any season via wooden boardwalk trail. The state park also features the Elakala Falls as well as a gorge formed by the Blackwater River. The gorge is quite beautiful in the fall, especially when viewed from Lindy Point. Blackwater Falls State Park is located in the eastern part of the state making it a reasonable day trip from the Washington DC area. 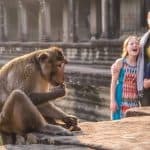 Alternatively, it’s the perfect overnight getaway if your family chooses to spend the night at the Blackwater Lodge or at the nearby family-friendly Canaan Valley Resort and Conference Center. West Virginia’s mountains make it an incredible destination for winter activities from skiing and snowboarding to snowshoeing and snowmobiling. Snowshoe Ski Resort nestled high in the mountains averages 180 inches of snowfall a year and offers a variety of experiences from its progressive terrain park at Silver Creek to the terrain-based learning at the Snowshoe Basin Ski School. Canaan Valley Resort in the eastern part of the state near Virginia offers one of the longest snow tubing runs in the mid-Atlantic at 1,200 feet. It also has about 20 miles of cross-country skiing trails; it’s a beautiful place to visit in West Virginia in the winter. To the north in Wheeling, the family-friendly Oglebay Resort has a great terrain park for snowboarders of all ages. Oglebay is also one of the top places to visit in West Virginia for a weekend getaway any time of the year. Looking for fun things to do in West Virginia? Snowboard with the family and book your hotel here! 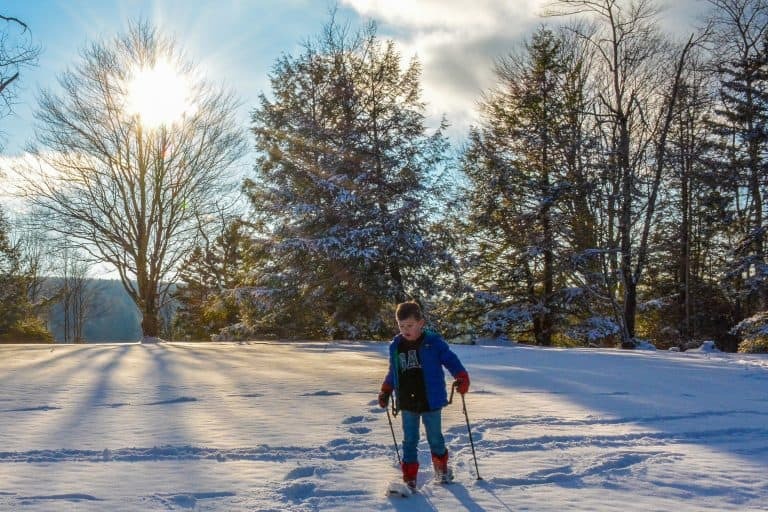 Be sure to check out Trekaroo’s guide for a family visit to Canaan Valley, and blog article Family Friendly Skiing in Virginia, West Virginia and North Carolina. Riding a steam train is an experience for the senses in any season. From the sound of the piercing loud whistle to the feel of the gentle breeze coming through the open windows, it’s a treat to ride through the mountains in West Virginia. In the fall, the display of the colorful foliage is mesmerizing as the train chugs past brilliantly colored trees. 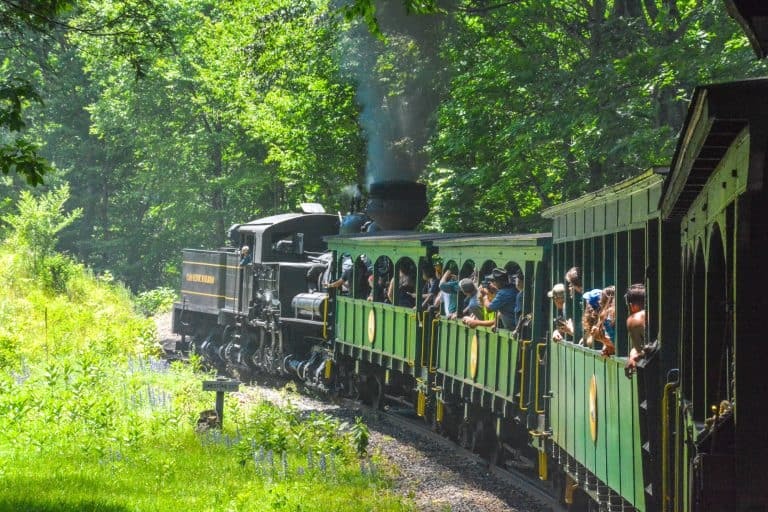 The two-hour round trip between the Cass Depot and Whittaker Station is a perfect afternoon outing for families, and it is one of the top West Virginia tourist attractions. The stop at Whitaker station provides an opportunity to take in the view atop the mountain from the picnic area. It’s one of the most beautiful places in to visit in West Virginia. In addition to the Cass Scenic Whittaker Trip, Mountain Rail manages tourist routes across the state from full day trips to seasonal Polar Express trips for families. 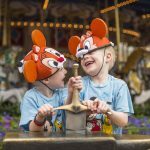 Looking for things to do in West Virginia with kids? 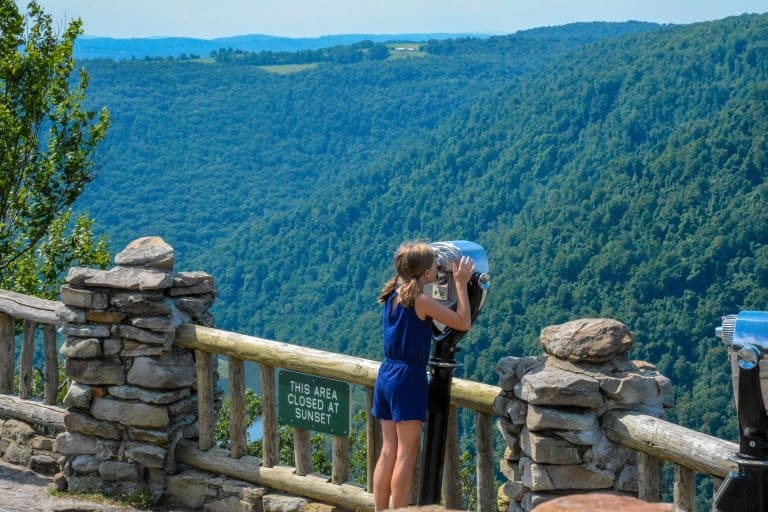 Make your Visit to the Cass Scenic Railroad Part of an epic West Virginia road trip and stop by the nearby Green Bank Observatory Science Center. Find out more in Trekaroo’s Guide Road Trip West Virginia’s Mountains Charleston to DC. The mountains of Appalachia may define the landscape of the state. However, it’s whitewater rafting in West Virginia that is really world class. It brings adventurists, thrill-seekers, and families from all over the United States. During the summer months, hikers can often spot rafts bobbing down the rapids and hear the squeals of excited youth over the roar of the water. 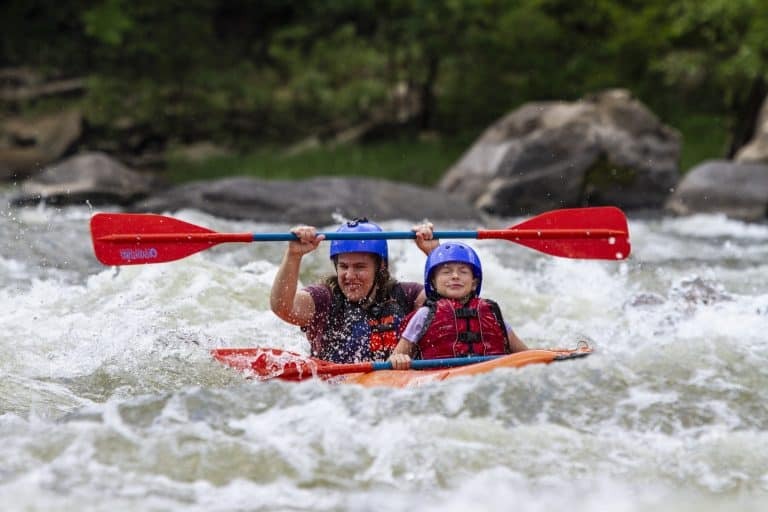 Children as young as 6 are welcome to go whitewater rafting in West Virginia on some of the more mellow class I-III trips with River Riders on the Shenandoah and with Adventures on the Gorge or ACE Adventure Resort on the Upper New River. Families with teens can go white water rafting in West Virginia on the more thrilling class III-IV rapids of the Lower New River. Thanks to Heather Erquiaga who researched and wrote the first version of this blog article. Disclosure: The author and her children traveled to Morgantown, Charleston, the New River Gorge, Pocahontas County and Harper’s Ferry as part of a press trip with West Virginia Tourism. All opinions are her own. Did anyone bother to point out that the cover photo is not in WV? Thanks for the photo tip, John. The photo was tagged as West Virginia online but I went ahead and removed it for another. The photo I see now could even be Kanawha Falls in Glen Ferris, WV. No doubt, West Virginia had plenty of wonderful (and varied) scenic choices. I am looking at one as I type this, the WV State Capitol with its gilded dome and Cass Gilbert designed architecture. 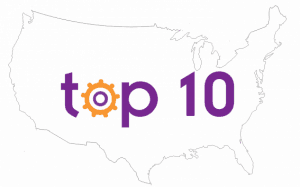 On #9, the Charleston Museum is in Charleston, South Carolina, not Charleston, West Virginia. We have the Clay Center for the Arts and Sciences. Great article but wanted to let you know that the Charleston Museum listed under “Enjoy Something Wonderfully Unique” links from your page to the Charleston Museum in Charleston South Carolina. Thanks! I’ll start with this a friend of 42 years and add 8 more to it as a companion . Both spouses deceased we got together and decided to spend whatever time we had left on this . Do it together . We have a life that would make a good reading book . I could tell it and even write it but that is it, I’d need help or anything past it. She was from N. C., but had family and relatives living in Marlinton W.V . Me I’d never been on that side of this state and been here since 73. Took me to New River Gorge bridge and in the Fall how beautiful it was then and then we went on the Cass scenic tour. Went to Beckley and took the tour of the mine at Beckley another great place to go had the line shack, church and big bosses home there. All the while we stayed at Jericho Inn and Cabins and stayed at the cabins there just outside of Marlinton . Went to the Marlinton Road Kill Festival , when it was held. I took pictures of the bridge when I was in the victors rest area and then took the road down and around and across the river and back up to the other side of the bridge and back to main Highway. What is awesome is too look down from the top of the mountain that has visitors center, take pictures and beginning the drive down the side of the mountain and then cross the small bridge over the river and watch the white water rafting then too look back where you just came from and look up and then take pictures from below looking where you’d just come from and back up that side of the mountain to the highway. We have an awesome state and several places right close together that are worth seeing again and again . My next trio will be without her .we had 8 great years and put in those 8 what people do in there lifetime she die from cancer two months ago and that is the hardest part of all this I will go back again she will be with me always as I have and wear a heart that has some of her ashes in it she is with me everyday every where. She passed away her hand in mine and I got say I love you one more time and gave her a kiss and 5 am and at 6 am she passed away she knew I was with her like I told her I would be. The photo by Alaskan Dude looks like Valley Falls actually. Very similar if it isn’t. I recognized Valley Falls right away. I live in Fairmont, WV and these falls are nearby. Been there many, many times! I would think the Hatfield and McCoy Trail Rides and Hunting in West Virginia should be on the very top of this list!